NEW YORK (Forex News Now) – The dollar rose versus the yen on Wednesday, rising from close to a 15-year low, after a better-than-expected report on Japanese machinery orders late Tuesday. In early European currency market trading, USD/JPY hit 81.88, up 0.21 percent on the day. Japan’s Cabinet Office said earlier that machinery orders shot up more than 10 percent in August, defying market expectations of a drop, due to strong private demand. According to intraday analysis, USD/JPY was likely to touch support around 81.55, Monday’s 15-year low, and encounter immediate resistance around the high of Oct. 7, 83.03. The dollar’s gains also came after the U.S. Federal Reserve moved a step closer on Tuesday to pouring more money into the faltering U.S. economy, after a majority key policymaking panel agreed to consider steps to stimulate demand. 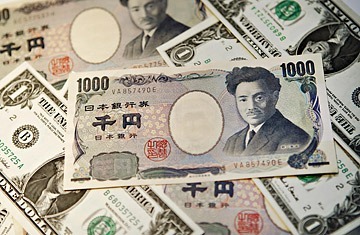 Elsewhere, the yen fell versus sterling: GBP/JPY traded at 129.87, up 0.53 percent.